There's something about real books, that digital books just don't have - how it feels to turn the pages and the smell of the paper. And to keep your place, you need a bookmark, unless you're someone who turns over the corner of the page. Me, I prefer a bookmark. 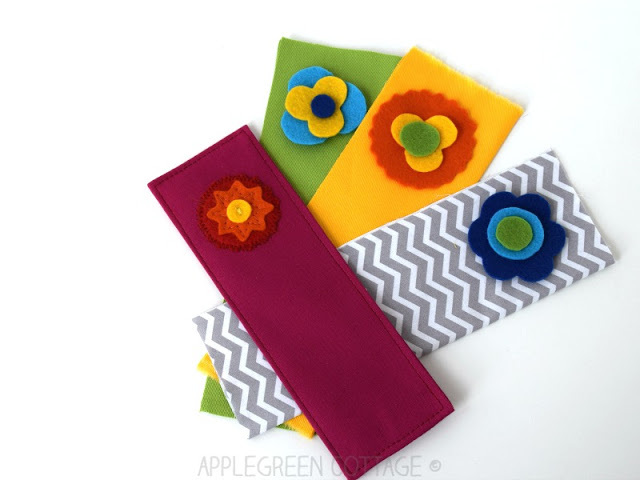 Damjana, from Apple Green Cottage, shows how to make a fabric bookmark, embellished with a felt appliqué. Wouldn't these make lovely gifts! The comprehensive tutorial will step you through the process.